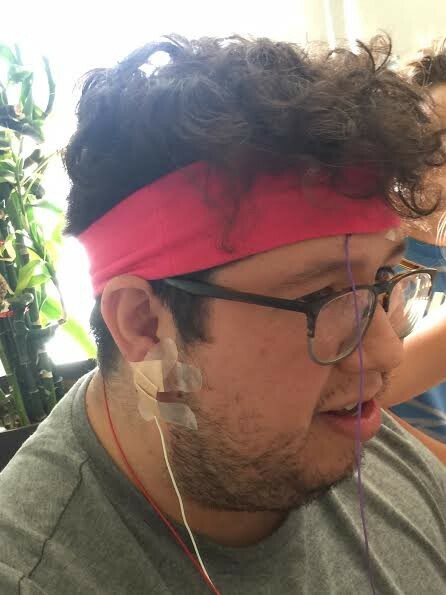 Here, at the first week of my ten week experiment at Wynwood Maker Camp, I had my first tests with OpenBCI. I am a part of a small group of students in the camp here for ten weeks, working on long-form projects. 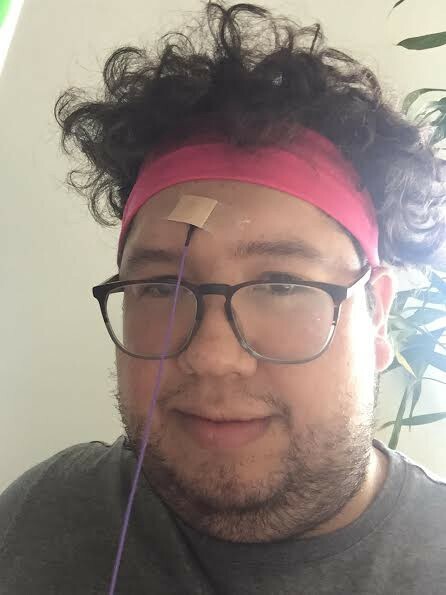 I am exploring the ins and outs of OpenBCI and be able to connect it in a way to open a gate, just with my mind. I am in this select group of campers, because I really enjoy being at this camp and this is my third summer at the camp, and this camp has always challenged me. Last year, I made a keychain shop by making keychains with a Makerbot 3D printer and it was hard to make one of them. the year before that I made a Minecraft parkour server with Elliot and a kid that doesn’t go to this camp anymore. It was the best. We made it so hard yet so fun for the other campers. I tried doing the first test on Nelson, one of our camp counselors and directors. It didn’t go so well because we didn’t have the right tape to make the connections to work. so I had to wait about an hour. I then decided to test it on Willie, the other camp counselor and director. We still didn’t have the right tape but we ended up using bandages which was terrible but surprisingly got the job done. I started by myself but later I received some help from two eight year-old girls that attend the same camp. We had a lot of fun doing this but it was frustrating to get the node for the front of the head so we decided to do that last. It took about 10 minutes to get every single part onto Willie’s body, especially the one on his earlobe. After we got them all, Willie had so many chords on him and it looked hilarious. So I started the device and it began to read his brain waves. I was really surprised that it really worked and I was so stoked. I wanted to test it on one of my helpers but they were scared to try. When Nelson returned, we told him that it had worked and he was in shock. I’m no where nearly done with this project; I still have to do much more and then it will be the best thing that I have worked on, but excited to learn more and to become an expert. To learn more about the OpenBCI, go to http://openbci.com to learn more about this amazing device. 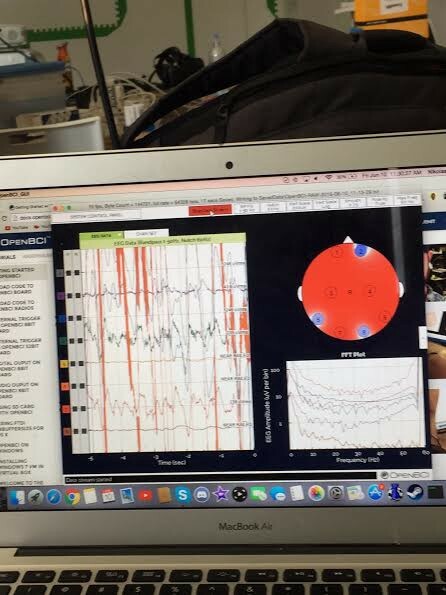 I will be charting my experiments with OpenBCI this summer as I begin to deep dive with EEGs and how to connect it to Arduinos, Raspberry Pis, and other SDKs over the next ten weeks. 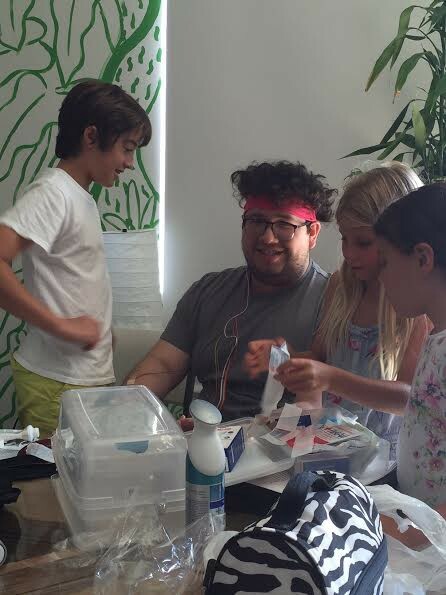 Wynwood Maker Camp, organized by Mano and 01 is a two-week summer camp program in Miami running in sessions throughout the summer focusing on topics in sustainability, wearables, electronics, coding, virtual thinking, computational thinking, and entrepreneurship.